Simulated Altitude Rooms by OXYGEN ATHLETIC – More than just technology and science. Simulated Altitude Training (SAT) isn’t a new concept. The physiological benefits are well documented. These include increased metabolic demand leading to accelerated weight loss, and with the correct training protocol, gains in lean body mass. The technology behind the production of SAT environments has improved substantially in recent years resulting in improved system cost effectiveness, systems becoming greener and cheaper to run, smaller plant room requirements, and significant reduction in noise levels. Smart systems manage safety, and simplify control of altitude and schedule. As popularity emerges in the gym and health club scene, how do business owners successfully benefit from this technology, engage members, enhance business value and improve profit? OXYGEN ATHLETIC focus beyond the science and technology of altitude simulation and bring these key business drivers to the market. 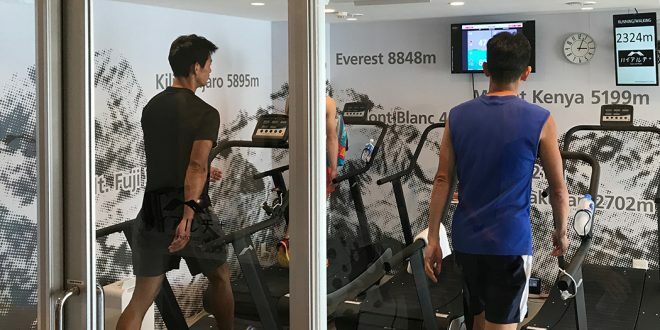 OXYGEN ATHLETIC Zone technology allows multiple rooms to be converted to altitude environments maximising the potential business value of a SAT equipment investment. Zone technology enables flexibility of services offered and optimum member access both of which can enhance business value and income. With OXYGEN ATHLETIC you are investing in our support structure, programming, education and trainer resources through our exclusive ALTITUDE FACTOR programme. Developed through years of experience working with altitude technology, OXYGEN ATHLETIC have created a platform for your trainers to access and deliver ongoing high service standards for your members. Group training sessions improve member engagement, leading to greater exercise adherence, improving member retention and creating that positive BUZZ. The ALTITUDE FACTOR programme is designed to cater for group training and classes. OXYGEN ATHLETIC consider versatile layouts with appropriate equipment and flooring to maximise use of ALTITUDE FACTOR programmes. We avoid clinical, beige looking rooms. The best marketing and educational programmes need to be backed up with visually appealing rooms. OXYGEN ATHLETIC understand that a feeling of space and freedom to move is essential. We can advise on use of wall art, colour, lighting and functional floor design to engage and excite your members. We have done the work ready for you to MAKE A CHANGE and develop your business. For more information on Oxygen Athletic, enquire below. OXYGEN ATHLETIC has extensive knowledge with over 20 years combined experience working with Simulated Altitude Technology. With expertise designing, creating and installing simulated altitude facilities globally for professional sports teams, research facilities and institutes of sport, OXYGEN ATHLETIC brings this technology to the fitness industry.